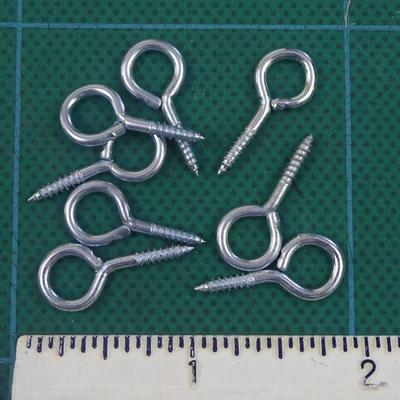 Metal screw eyes to use with balsa cones, bulkheads, transitions, etc. The Medium/Small size is 15/16" overall in length with a thread length of 3/8". ID of the eye is 1/4". Approximate weight is 1.2 grams.